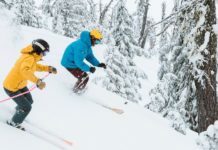 By learning to use kick wax, backcountry skiers can improve efficiency for ski approaches, saving energy for the downhill. Plus kick wax increases fun on the approach. Using kick wax for efficient skiing seems to be a forgotten skill among most backcountry skiers nowadays but it still has its place in any skier’s pack. 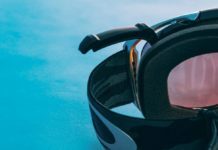 Kick wax for the uninitiated, is a combination of paraffin and resin and when applied to the base of the ski allows a skier to glide on their skis but gives enough purchase when the ski is weighted to push off of, thereby creating a kick and glide motion. By varying the amounts of paraffin and resin, manufacturers make kick waxes for all sorts of temperatures and snow conditions. Most backcountry travelers will be happy with a simple two wax system, however: one wax for wet snow and the other for dry snow. Kick wax is usually applied from a point a few inches forward of the toe to a few inches behind the heel. This is the cambered area of the ski and used to be referred to as the wax pocket. 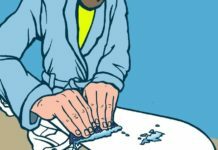 The wax can be rubbed on the skis like using crayons to fill in a blank spot on a drawing. Start with a light application and if it doesn’t give enough stick color it over again. Waxing is great for approaches to backcountry ski runs that first involve a long trek up a relatively flat valley or plain. Skis will be lighter and glide easily over the snow saving you time and energy that can be used for more downhill runs. Once at the base of the run put skins on for the long climb to the top. 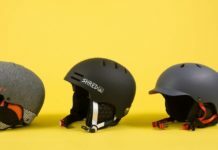 Skins, which most backcountry skiers have begun to rely on exclusively, have a very small glide ratio compared to wax. 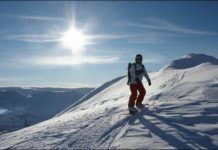 While skins allow skiers to climb steeply and are indispensable for anyone planning to ski a lot of vertical, they are not very efficient or fun on flat to rolling terrain. This is where wax rules, allowing a skier to glide over short and long distances with very little effort. 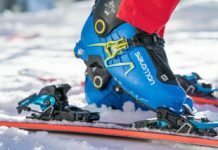 Instead of just slogging along in the flats, skiers using kick wax have more fun as they enjoy the benefits of gliding along after each step/kick. 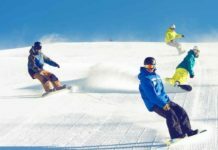 While they may have to work a little harder on any steeper inclines encountered, they get the full benefit of being able to just glide along on any declines in the trail to the ski run. Waxing does require a little more technique when going uphill. Standing straight up over the wax pocket and shifting smoothly from one ski to another are essential for getting the wax to bite into the snow. On steeper hills one may need to traverse across the fall line gaining altitude gradually. Adding a side step into this traverse will gain a little more vertical per step. On short slopes a herring bone will suffice as long as the snow is not too deep in which case it is better to just side step. Kick turns are also more important when waxing since the track cannot ascend as steeply. 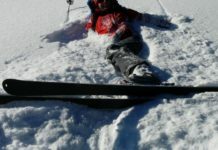 Other advantages of having a little kick wax on your skis include the ability to traverse uphill if you need to move to a different spot to find a better line or avoid some dangerous spot. And having some kick wax in your pack is nice insurance against losing your skins or having them fail to stick to the skis. You know you will always be able to still ski out on wax.